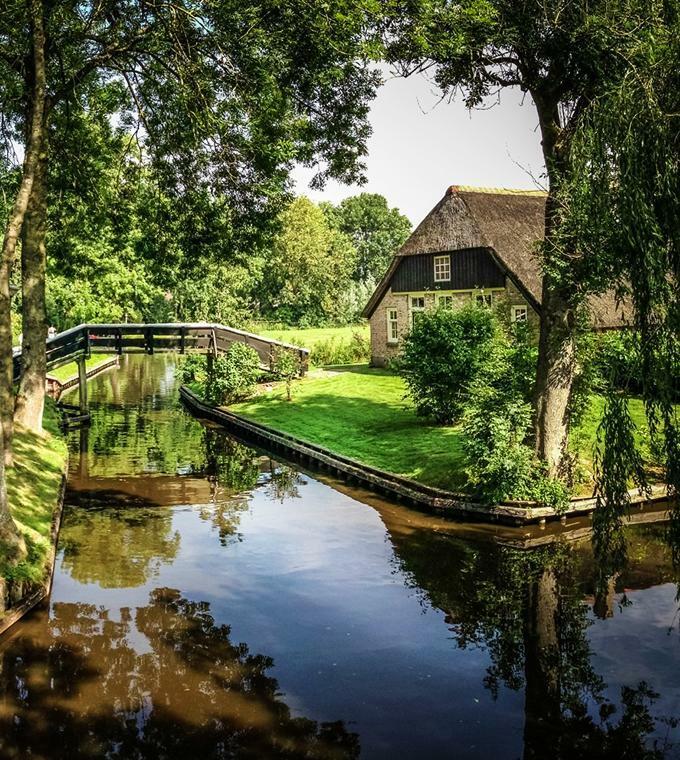 During this full tour, your destination will be picturesque Giethoorn. where no cars are allowed in the old town, whose history dates back to the middle ages. This tour is operated as a small group tour in a luxurious minivan, thus making this tour a more personalized experience without the crowds from large bus tours. Meet your guide/driver at our central meeting point Heineken Experience Amsterdam. A comfortable, air-conditioned luxurious minivan will take you to today’s destination in about 90 minutes. The journey takes you goes through the typical flat Dutch ‘polder’ landscape. Polder is land that has been reclaimed from the sea and most of the land where you drive through today was a sea until the 1950-ties. Giethoorn is definitely one of the most picturesque villages of the Netherlands. The town has been one of the most popular tourist villages of the country and is nicknamed the Dutch Venice. Just like Venice, Giethoorn has many canals and the only way to get around town is by boat or walking. No cars are allowed in the old town, whose history dates back to the middle ages. After a short walking tour of the village, you have time at leisure to discover the village on your own. Your driver/guide will reveal the city’s unique character, and give you insider’s tips about great local restaurants, shops, attractions, activities and more. Late afternoon we drive back to Amsterdam. · A small amount of walking is involved, comfortable walking shoes are recommended.